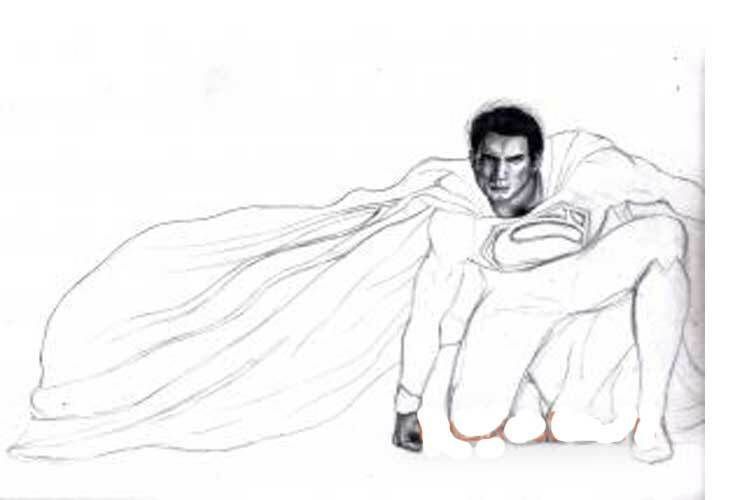 In this tutorial, we will look at how to draw Superman in full-length pencil in stages. 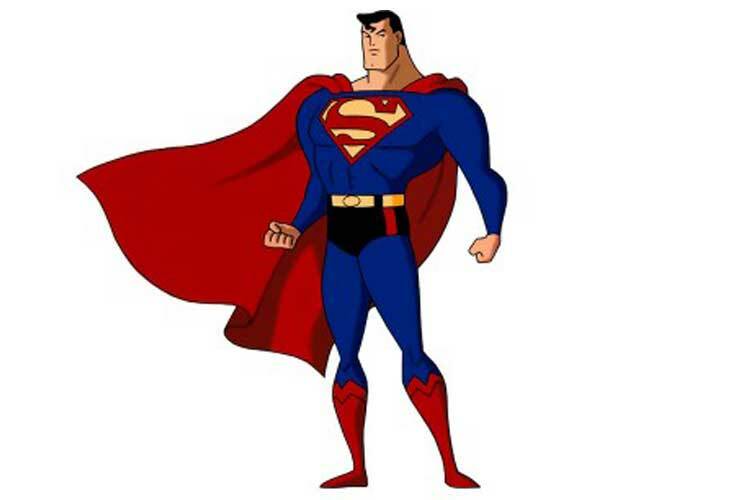 Superman is a comic book hero that was invented in 1938. After that, there were a lot of comics, movies, cartoons, video games. A film about Superman has been released since 1948, and more than ten films have been filmed until today, the last year 2013 “Man of Steel” was released, and in 2016 they plan to release it under the title “Batman vs Superman: at the Law of Justice”. 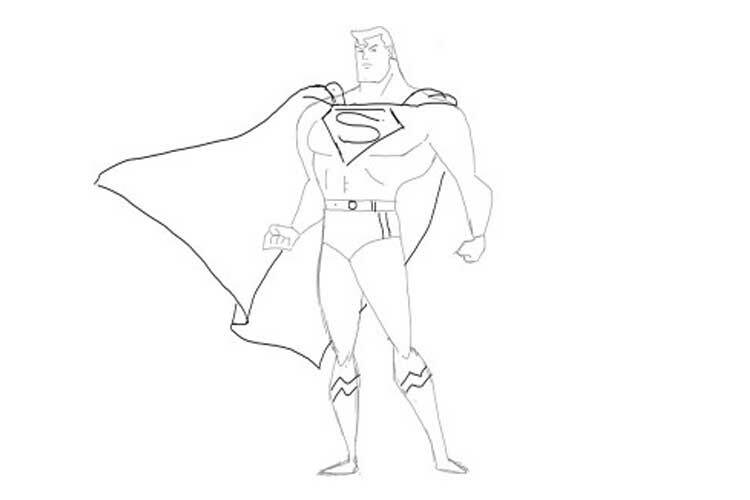 The Superman cartoons have been released since 1941, more than ten are also filmed and are being released every year lately. In 2013, as many as four cartoons were “Batman: The Dark Knight Return”, “Superman: Undefeated”, “Justice League: The Paradox of the Source of Conflict”, “LEGO: Batman – DC Superheroes Unite”, and in 2014 they released “Justice League: War “. 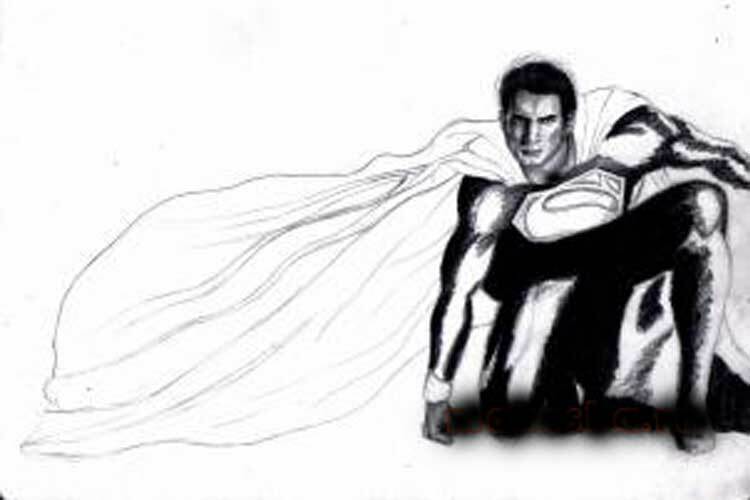 That’s how famous the hero of comics is Superman. 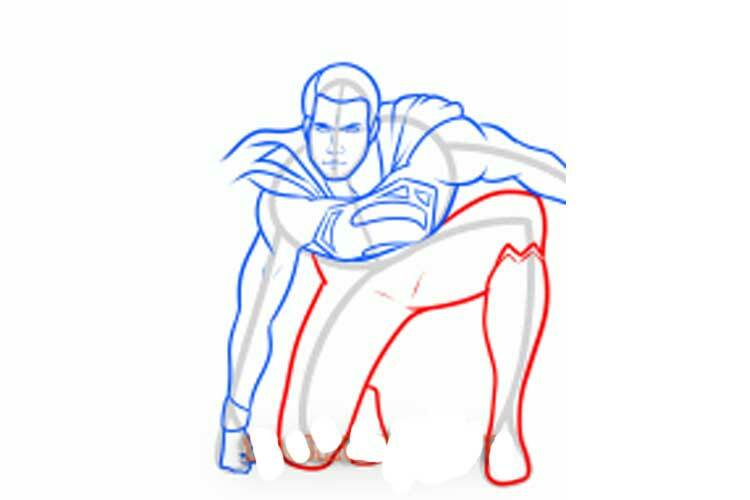 The hero of the comic book, Superman, resembles a rectangle, therefore, to make it easier, we draw it, determine the vertical midpoint of the face and the location of the eyes, nose, and ear. 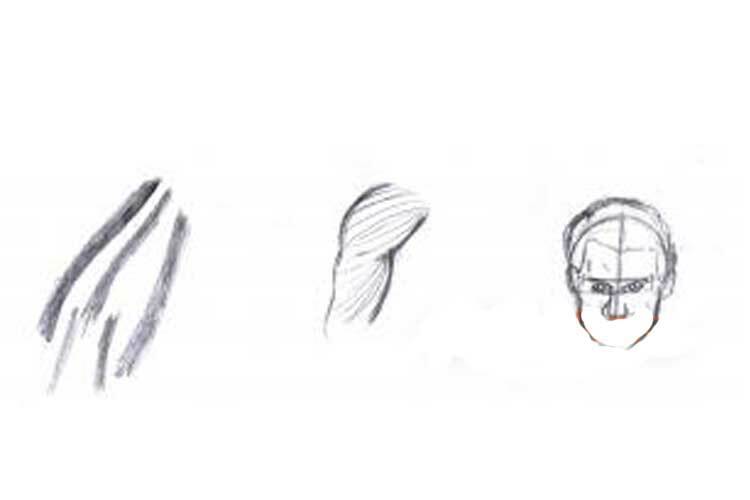 Next, we draw the face, nose, eyes, mouth, hair, neck. 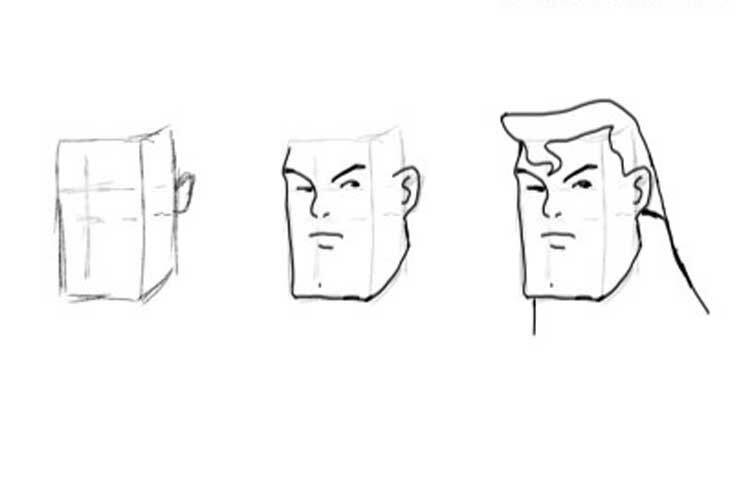 If you draw only the head, you can draw it big, and if you draw Superman to his full body, then the head must be minimal so that the body, the album sheet or A4 sheet must be turned over. 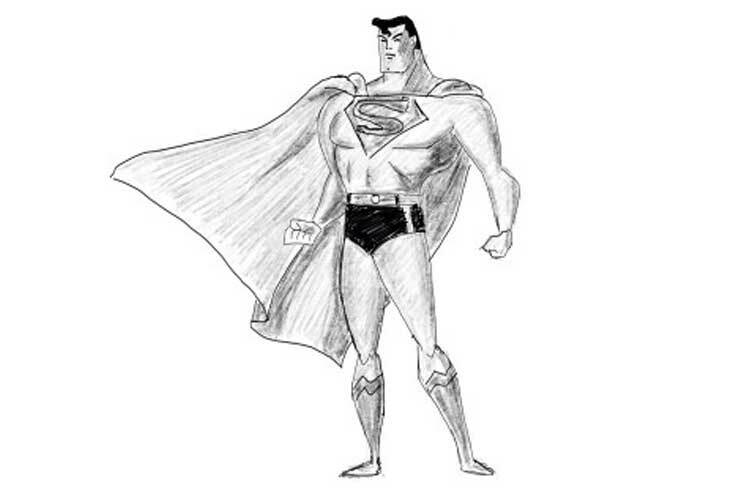 We draw a skeleton, like a body, arms and legs are located, then we sketch Superman’s body. 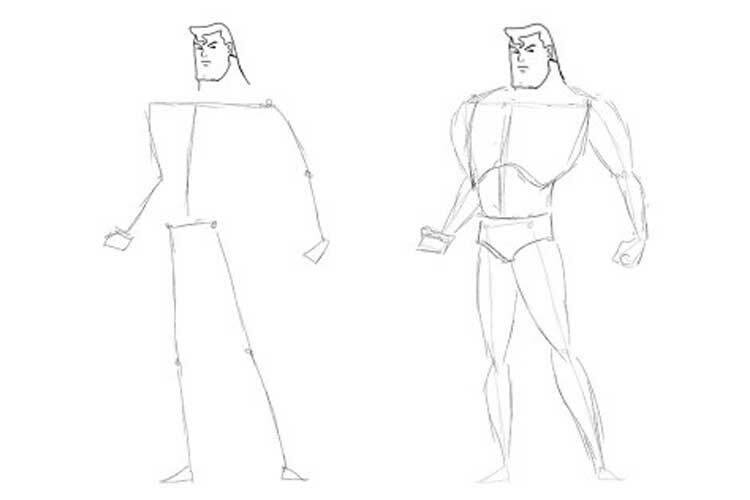 We draw the shape of the body by the style, broad shoulders, a very massive torso, pumping arms and legs. 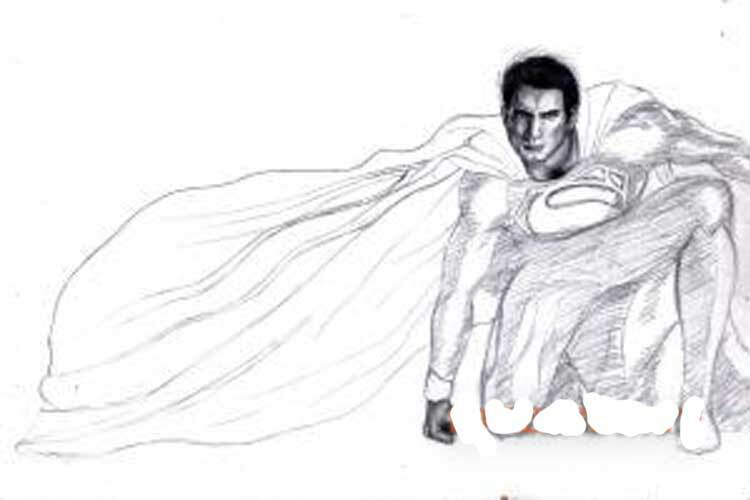 Then draw a raincoat, a sign of Superman on the chest, socks, a strip on his underpants. 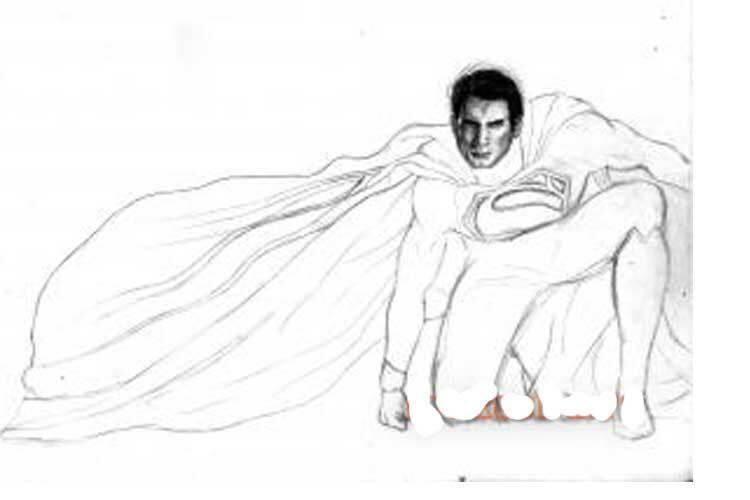 Now you have to put shadows in pencil, and Superman drawing is ready. We will start by sketching the body. Your goal here is only to get his dramatic pose in the right perspective. Several guidelines will be drawn for the limbs, torso and head, and, of course, lines for the eyes. 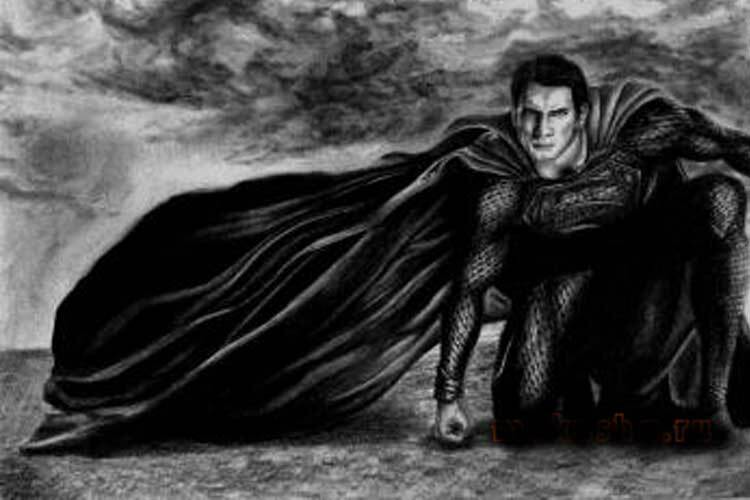 Now we will draw the face and a little of his cloak. Draw the eyes along the guideline from the previous step, nose and mouth in the centre. Then add his hair and ears. 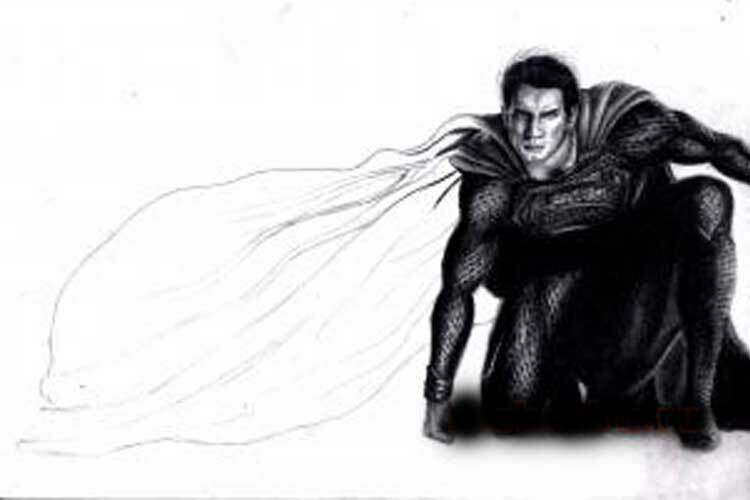 Finally, a small part of the cape, which has a more detailed drawing in the place of attachment than the rest of it. Now go to his hands and chest along the guidelines. 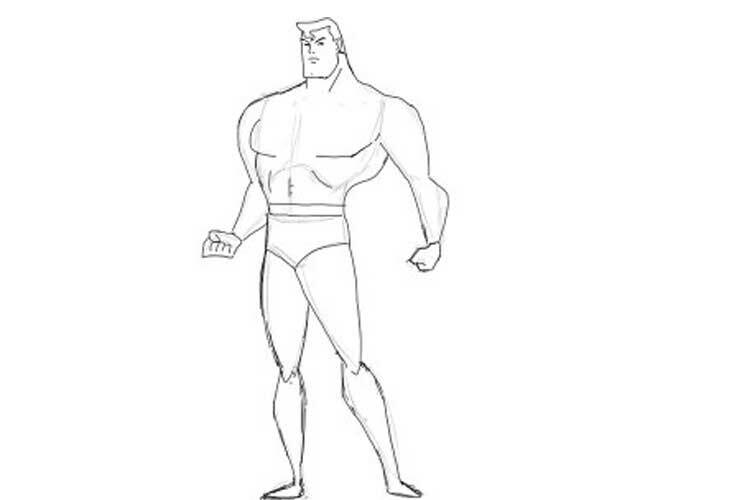 Make sure his muscles are visible and proportionate. 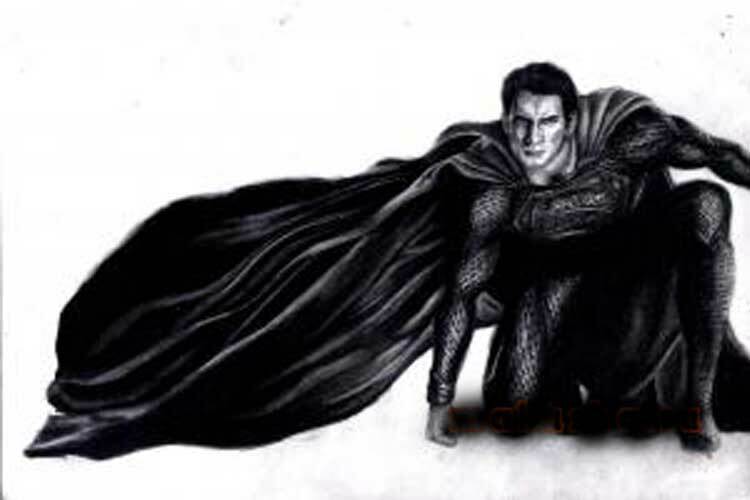 Because of his posture, “S” – a symbol on his chest – is only partially visible. In the finished drawing, just half and should be visible. Make sure that the character goes in its shape and do not get carried away by the tiny spaces around it. The legs are also very muscular, but this will be seen only when they are obscured. 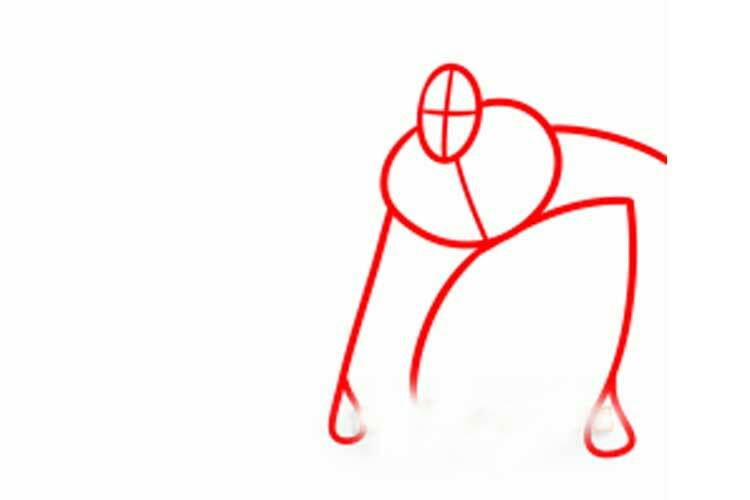 Since the legs are pulled forward, the feet decrease from a distance. Finally, a raincoat. Please be careful when drawing lines of wrinkles and folds, as this will be very important in the future for drawing. 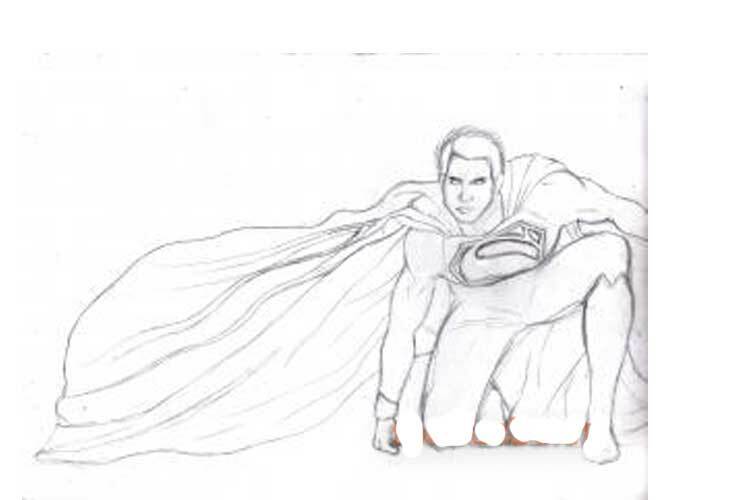 You should also pay attention to the fact that the cloak fits into the page on the left side, it is also essential, compositionally speaking, the character is on the left side for the simple reason that the cloak takes up quite a lot of space on the page. Attention is distributed between them. This sketch already looks different and is finished with a pencil. The lines are already, and the rudiments of shadows and textures are visible, and some details have disappeared, so you can not take it into your head if you also have differences and nuances. 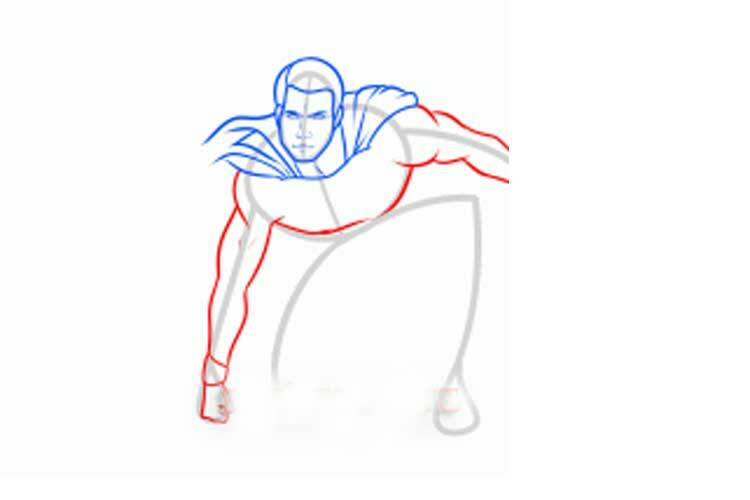 Now, before drawing all that you would like to draw attention to in the figure, we will practice and consider the details. 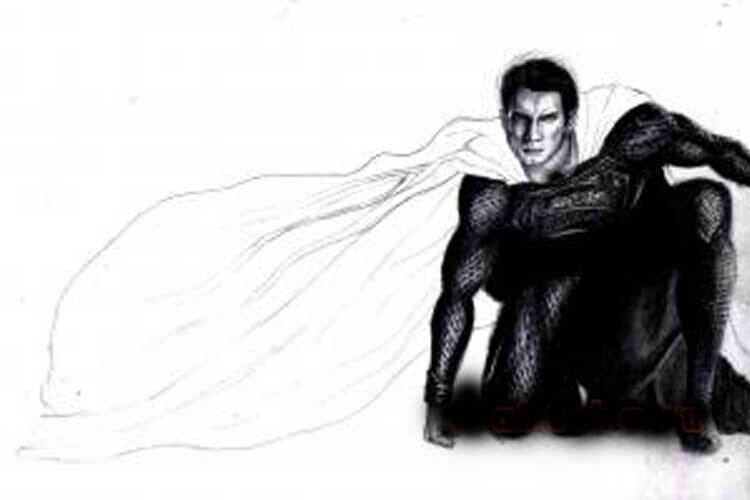 This is a mini-guide for drawing faces, cape, costume and texture. The dress has a very complex taste, which is difficult to repeat and therefore will have to be simplified to make it look better. Tastes are similar to those used in drawing black Spider-Man. It is straightforward to assemble and looks great. 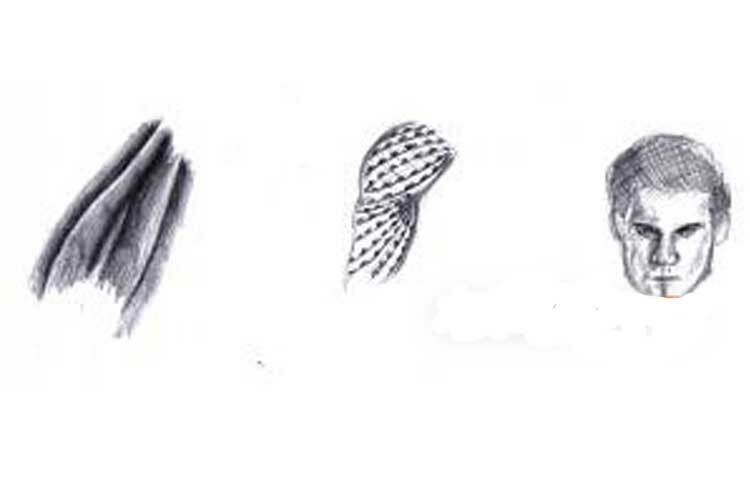 The shading lines of the raincoat are straightforward. It may look complicated, but the same picture in the picture is repeated to create the entire fabulous cloak. 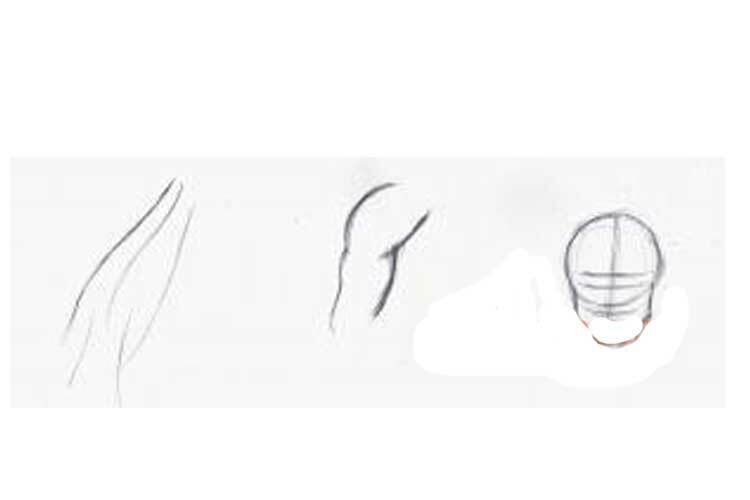 The texture of the costume begins with several lines. The face is quite simple because it is small in the figure, but you also need to pay attention to details, so I strongly recommend using a very sharp pencil all the time, preferably a mechanical pencil, which you will not need to sharpen every two minutes. Catch the shading of the cloak and use a small piece of cotton to mix everything and grind to a smooth colour transition so that it looks nice and quiet. Add some points on the hand line, it may seem silly, but as soon as you obscure everything, it will all look different. The figure is not yet the final version to show the very texture of the drawing. 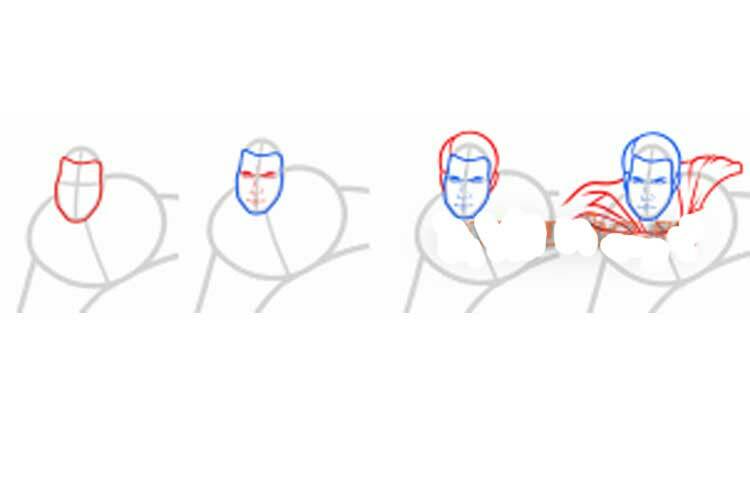 And draw a simple shading for the face, one way or another, the author managed to make him look like Dexter Morgan. 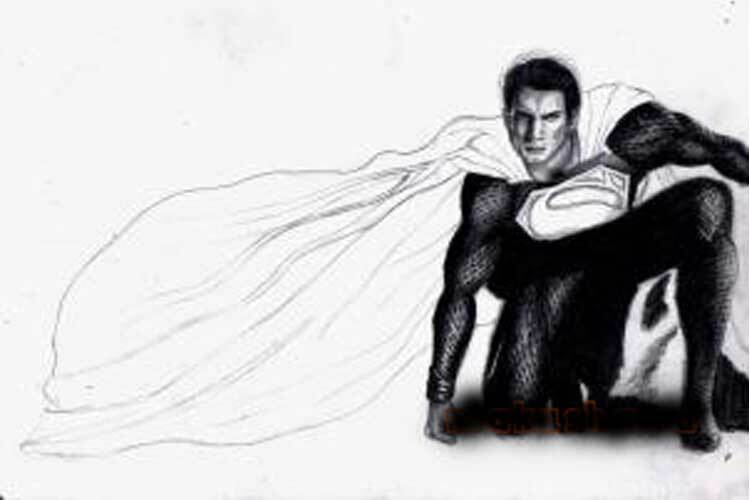 Remember this name, because it will be the first association with the word Superman from this day! As you can see, we will start with the head. The author managed to shade it literally in 5 minutes since the surface is minimal. Pay attention to the details as they are critical. Shade the neck and fist. These are the only visible skin areas. The author used a mechanical pencil 2B. It started shading and shading. The parts that will be dark in the next steps will be drawn now. That is why we use the word “black” – this is pure black. Partially grey in the places of flow, and we go further. We draw the texture of the suit as in the mini-guide. After a little shade the drawn for a uniform colour. 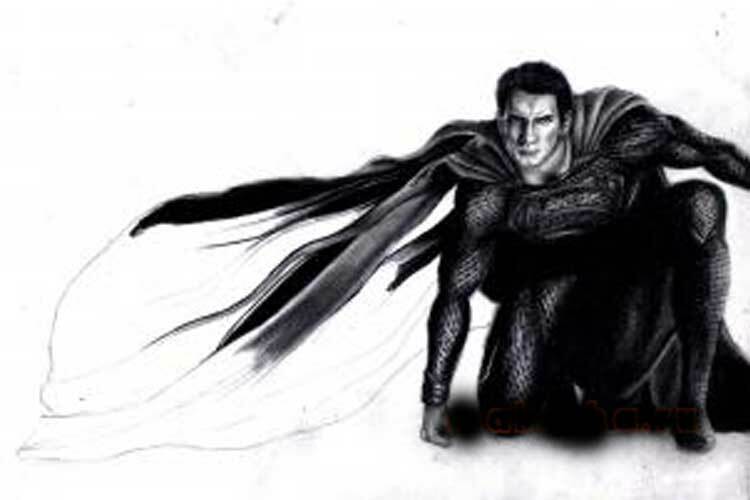 We draw shadows for the symbol on the chest. This is done just like our costume, only in more detail and in detail, which means that there are fewer points and they are closer to each other, and also shaded, but brighter. Between the legs clearance. Now it’s time to go to the raincoat. 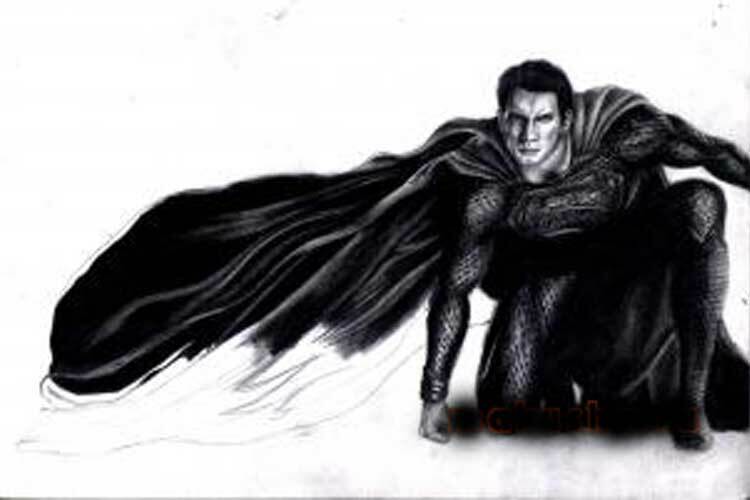 The author spent more time on the cloak than even on the body. It should be smooth, and whatever shading skills you might have, you still need to be careful and have patience. 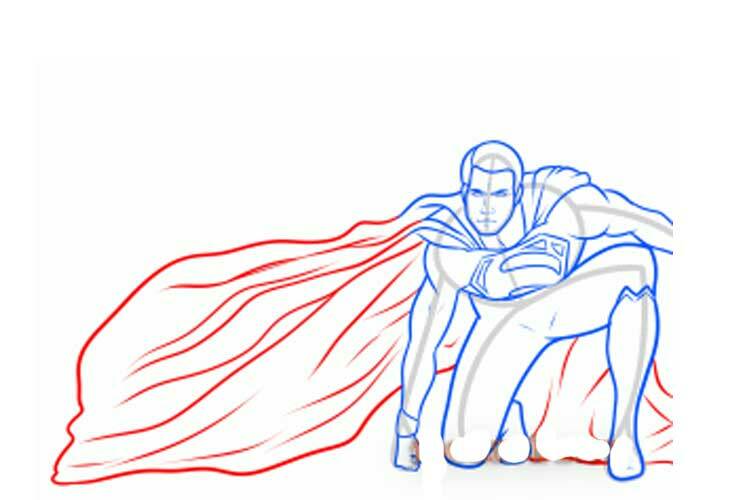 Use tips to smooth the surface, Superman’s coat should not look coarse, everything should look as smooth as if it were velvet. I strongly recommend following the path that has prepared for you, because it is easier if you decide to take on other parts of the picture. Cloak begin to take shape. Do not ignore and ignore the guidelines, they are essential if you want your coat to look good. Finally, the raincoat is drawn. After long hours, the author was infinitely glad that this section of the drawing was over, but … he immediately remembered that he would still have to paint the background and background. Now you can add a bit of earth and make the background black; you can draw a quick background using graphite powder or a pencil blade. In the end, you get a dark background; it is straightforward and easy to perform. First, try on a separate piece of paper to feel the pressure and quantity. You can get this impressive background if you practice enough. 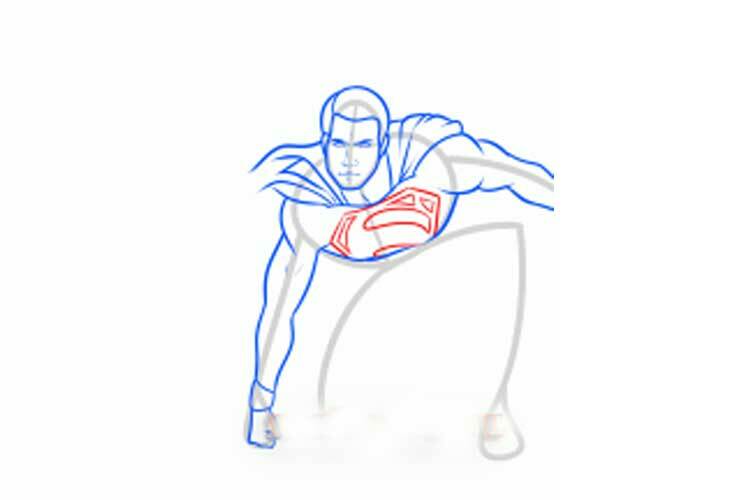 I hope you enjoyed Superman’s drawing lesson since I had to give up a large and exciting section of sleep to prepare it. And I am sure your efforts will also not be in vain. Good luck to you!